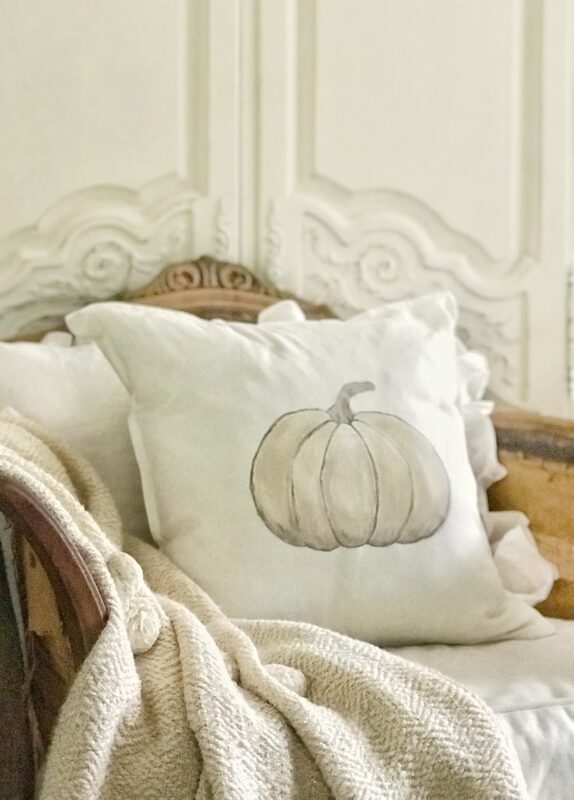 Have you seen those cute heirloom painted pumpkin pillows and wanted to make one? To be honest there are several ways and this one is how I hand painted mine. I wanted to create that soft, cute, vintage look. I didn’t have all the supplies on hand to do an iron on transfer or to use a fancy machine. Now keep in mind that I was expecting this to fail on my first attempt. Come to find our it was so easy and cute even on the first try! So here’s what I did. I looked at heirloom pumpkin pictures online and then I did a pencil sketch of one. You could print a photo our and trace over it but I didn’t think of that until now! 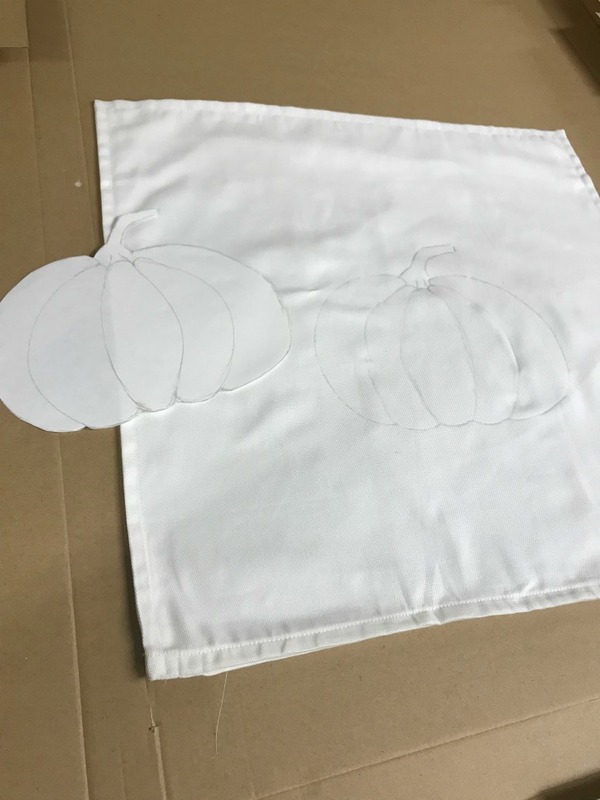 Once it was traced and the inner lines drawn in, I cut it out and placed in on my pillow cover. I then used my pencil to trace the pumpkin. There are actual tracing pencils for this, but like I said I didn’t have all the supplies. I also didn’t feel like running back to my craft room. The tricky part is painting. 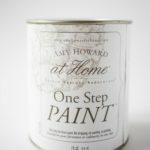 To do this I used graphite chalk paint by Amy Howard to set my lines and then Linen color for the base. I applied the base color a bit more heavily at the bottom of the pumpkin. Then lightened my pressure as I went up, to give it a look like light was hitting the pumpkin. On accident I dipped my cream brush into the gray. So I ended up adding some shadowing and I loved how it turned out. The stem was painted dark gray with some cream added to the top to give dimension. The last step was using the dark gray to fill in the lines that may have gotten covered up. 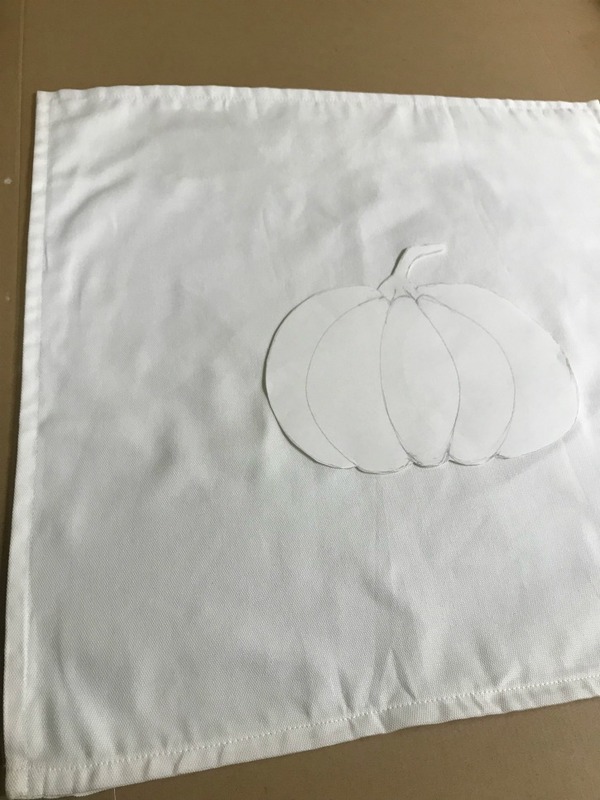 You want to go lightly on this so that the lines have different thickness, otherwise your pumpkin won’t look real. Be sure to have fun with this. Don’t go for perfection! When you look at pumpkins you will see they vary quite a bit. I didn’t seal the pillow as I don’t feel it is needed. 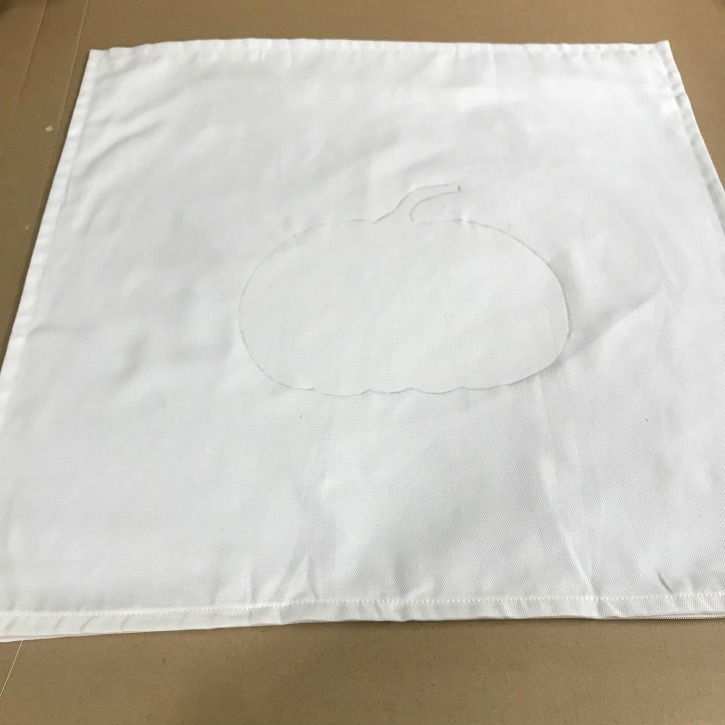 You can also create this as an iron on transfer, but that tutorial will be for another day. 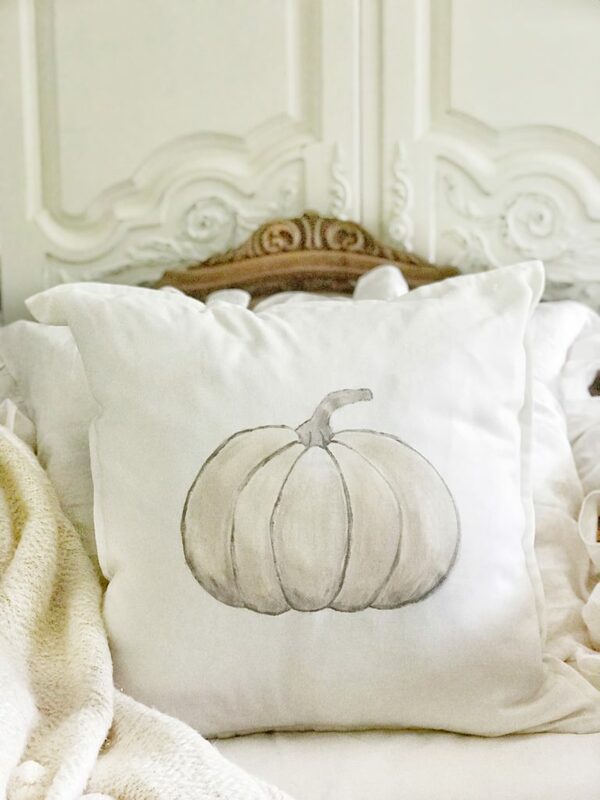 Click the link if you are interested in purchasing my hand painted pumpkin pillows. I love how you made this look so easy!! So pretty! Wow!!! These are so beautiful!! You make it look so easy to do…may give it a whirl…love that you share you diy’s…thank you! Beautiful Rhonda! You are so talented my friend! Thanks for stopping by Ashley, that really means a lot!! 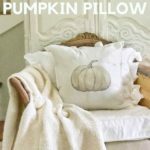 Such a cute pillow Rhonda…I can see using this in almost any room! Thanks so much Janet! This pillow was so much fun to make. 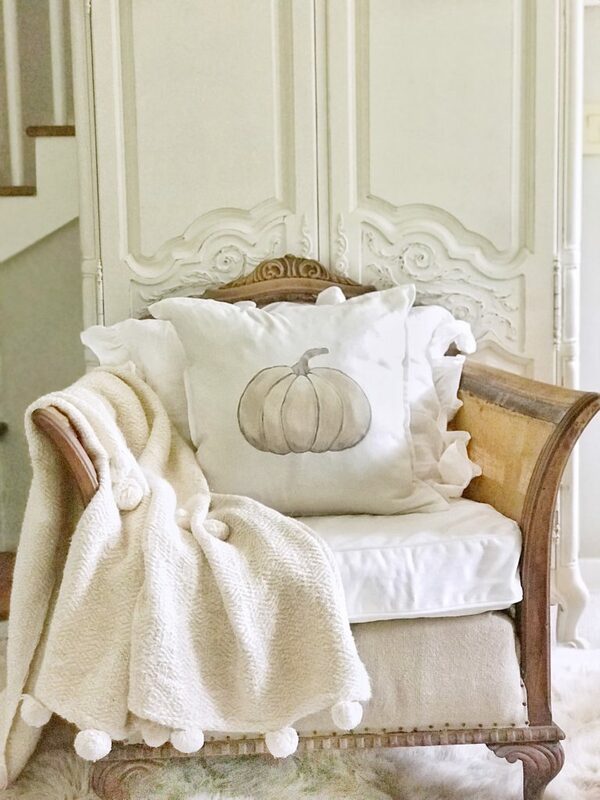 I think this looks fantastic, the pumpkin is perfect! So cute Rhonda! i am soooo ready for Fall. Me too Cara!! And thanks! Thanks!! Oh Im sure theyd look great!